An unidentified flying object (UFO) can be anything at all: an unauthorized flight, a light, a drone or unmanned aircraft, an optical illusion, or an alien spacecraft. Any aerial object flying within national airspace whose flight is unlawful, anomalous and unidentifiable in nature represents a threat to civilian and military security and navigation. For this reason, the Peruvian Air Force (FAP) has the duty to look into these phenomena in order to safeguard order and proper use of the national air corridors. “These were the words of Pedro Cateriano, Peru's Minister of the Air, to BBC Mundo (BBC World). It was thus that the government reopened DIFAA, the Department of Anomalous Aerial Phenomena Investigation, under the jurisdiction of the Air Force itself. Whether aliens travel aboard those lights or vehicles is not the department's concern, and the beliefs or desires of its investigators regarding the subject are part of their private lives. This office looks into any phenomenon or object that can jeopardize a military or passenger aircraft. However, most of the cases recorded cannot be explained and the question marks about signs of life beyond our planet emerge once more. The phone rings at DIFAA and a specialist writes down the information. Calls have been received more than once from someone claiming to be in contact with aliens and that their mission is to save the world. These calls are usually dismissed. "We have no way of telling what it is unless we can analyze the images or videos submitted to us, aside from the questionnaires to be filled in by the witnesses," said Marco Barraza, an investigator and member of the DIFAA team. If someone reports a strange light, the first thing they do is cross-check the information with the control towers of the nearest airports. "The idea is to activate a protocol and create a record. This is how accidents are prevented," he explained. DIFAA's advisory board is formed by eight civilians (an astronomer, an archaeologist, a sociologist, a former pilot, a physicist, a philosopher, a broadcaster and a sociologist) and two military men. They are in charge of conducting the evaluations and preparing a report for DINAE (the Office of Aerospace Interests). The goal is to have a record. Certain constants emerge: spheres, elongated objects, cylinders, diamonds and luminous triangles. The places where they appear also repeat, almost always in the vicinity of archaeological sites. What are they? Are they from other worlds? The mystery will remain unsolved until they can be touched, and their nature ascertained. Commander Julio Chamorro (Ret.) forms part of DIFAA's advisory board. Chamorro was the founder and leader of OIFAA (The Office of Anomalous Aerial Phenomena Investigation) which operated from 1999 to 2005, and the first military man to state the need to look into these phenomena. The reasons Chamorro presented to his superiors for opening an office for the study of possible alien craft were based on Chapter 12 of the Peruvian Constitution, declaring that the duty of the State is to safeguard the Nation through its Armed Forces. "The officers working at the La Joya military base were used to sightings. There was an event that repeated every December. We called it the Star of David because we didn't know the nature of that bright light that shined at us day and night. There was also the so-called lost city: in the distance you could see a brightly-lit city that receded as you approached it. It was so frequent that it stopped being important," said Chamorro to BBC Mundo. There was a rumor circulating at the time. Alberto Fujimori, who was president at the time, used to go fishing on the Amazon River aboard a FAP aircraft. They say that while he fished, a luminous orb emerged from the river and flew into the air. Fujimori and his team saw it, but agreed to say nothing about it. "It's true, it happened," states Chamorro. Marco Barraza corroborates the anecdote. Was it for this reason that the office could be opened? According to Chamorro, "this possibly aided in making the decision to open the office." But what has been the use of all the information collected, both by the first office as well as the current department? "What's important is acceptance by the public and their desire to share their experiences. This is something that involves all of humanity and no one is excluded from what's going on," Chamorro stressed. There isn't much criticism in Peru against programs of this sort, unless they incur considerable expenditures or some important error is revealed. Perú isn't the only country looking for an explanation about anomalous aerial phenomena. 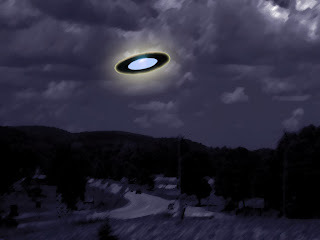 Chile has the Commission for the Study of Anomalous Aerial Phenomena (CEFAA), Argentina has the UFO Phenomena Study Commission (CEFORA) and Uruguay has the Unidentified Flying Obejct Report Reception and Investigation Commission (CRIDOVNI). "Some of the country's regions have built alliances with a view toward exchanging specialized information in a strategic manner, in order to pool their efforts on the research into these subjects," stated Defense Minister Pedro Cateriano. "However, Peru is fully capable today of analyzing and researching this phenomenon in an autonomous and independent manner and it would only appeal for an exchange of information with neighboring countries in an exceptional manner with the aim of cross-checking information for more exact conclusions." And until a more exact conclusion is achieved, DIFAA's advisory board will wait for the phone to ring again to create another file that may someday, perhaps, answer the question: What if we're not alone?